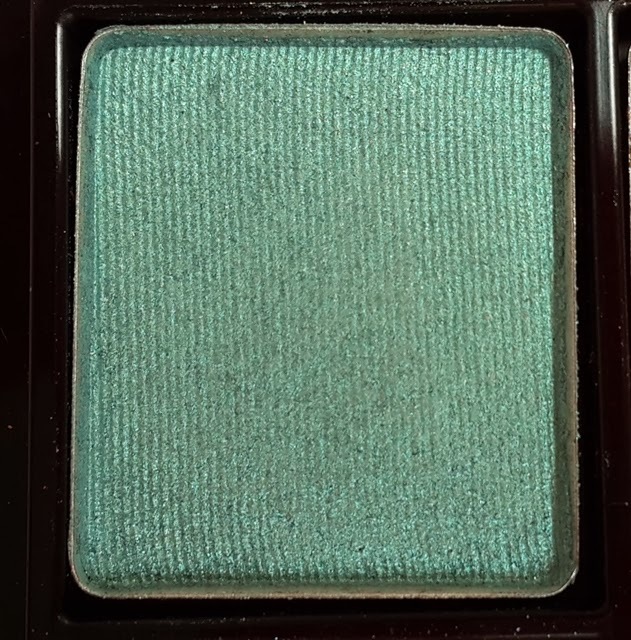 Today’s review is going to be of the L’Oreal Paris project runway limited edition quad in shade Muse’s Gaze no716 ($8.95 here). 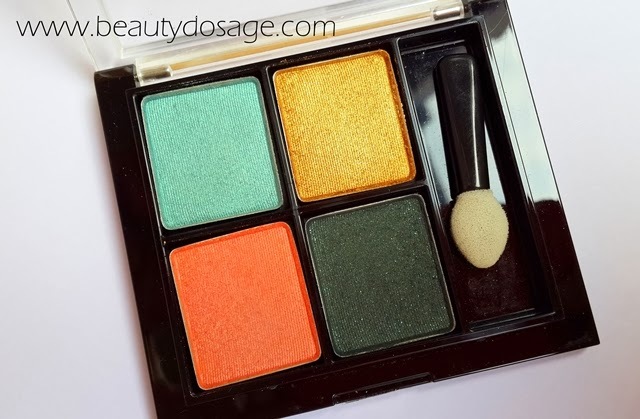 I recently did a look using one of the colours from this quad which you can check out HERE. This was simply a purchase to venture into more L’Oreal makeup products. Read on to know more! This Fall's Hottest Trend? It's Electric. 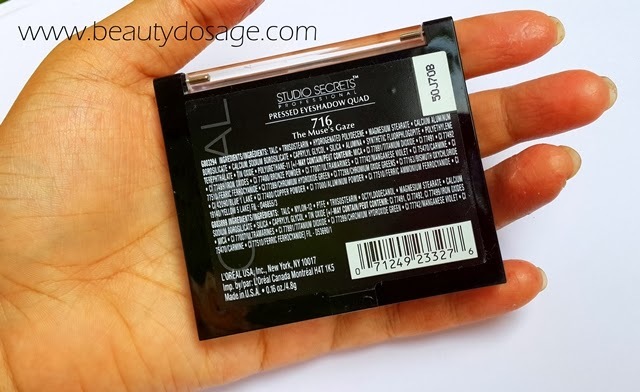 This velvety rich formula offers crease-proof, fade-resistant, super- blendable color. 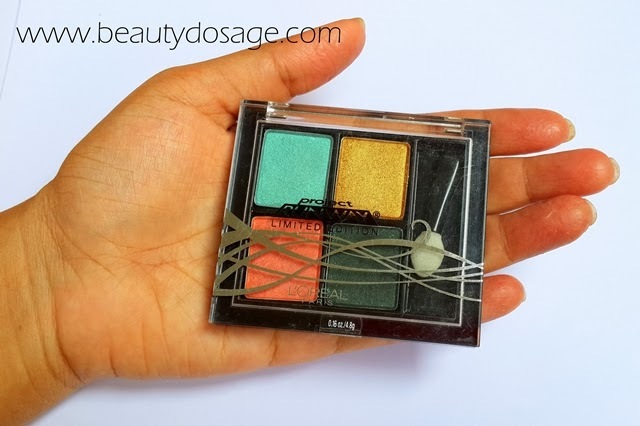 I had previously got a blush from this project runway collection and loved it for its packaging so I had to grab this! 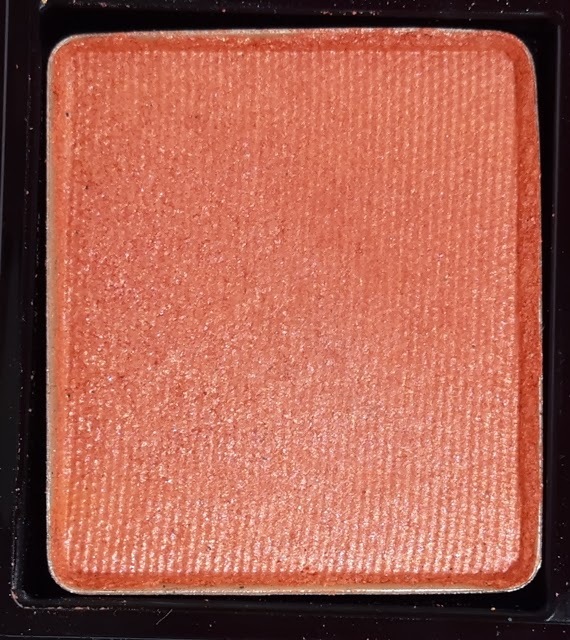 The quad is in the similar packaging as the blushes from this line which is very sturdy and thick plastic it definitely doesn’t seem cheap to begin with. The quad also comes with a standard sponge tip applicator. The product itself is not the best to be honest. 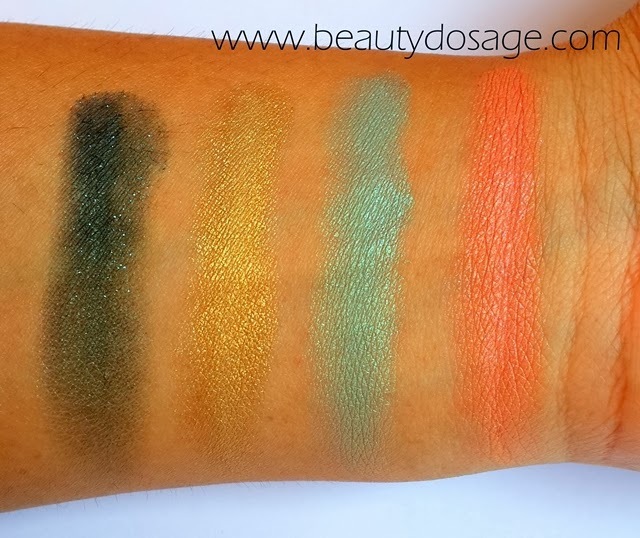 The 3 lighter shades are less pigmented compared to the dark green and all of them are chalky and dry. 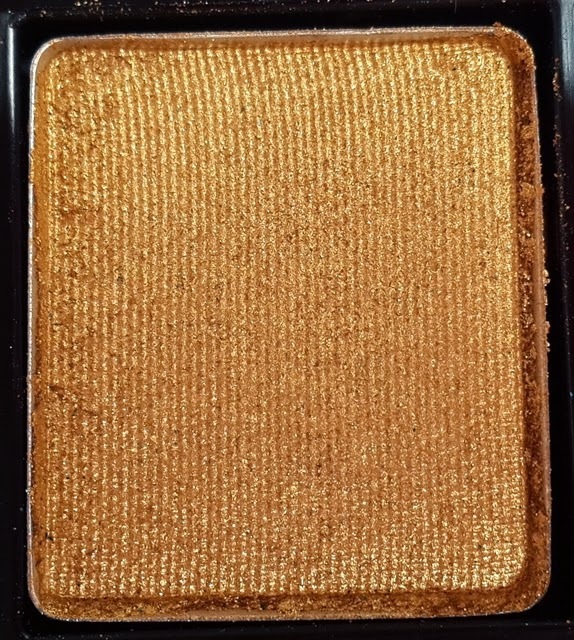 It doesn’t have that waxy texture that make eye shadows last long. They are less vibrant unless you foil them and are kind of hard to blend out. The wear time is poor on my normal eye lids so if you have oily lids it would be even worse. 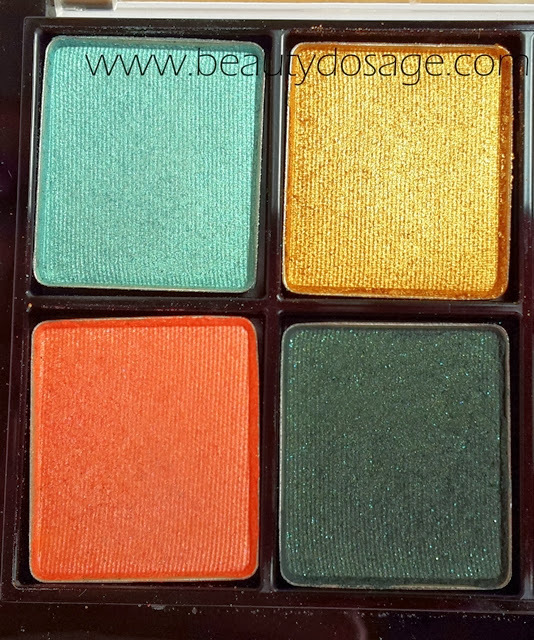 The texture of these eye shadows are rough and not smooth as a good quality eye shadow should be. 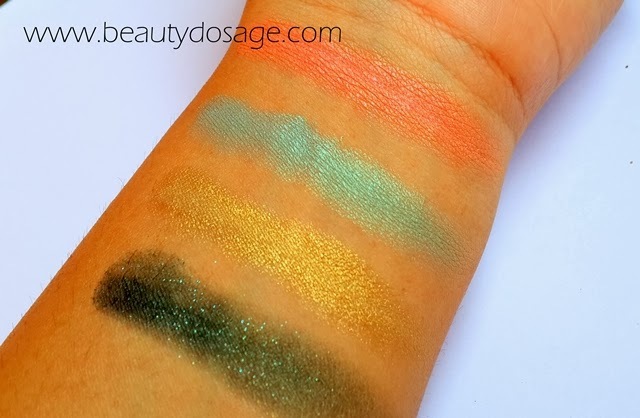 The shades that are provided can go together really well and I feel like you can create a day and night look with this. The only two shades you might need separately are a brow bone highlight and a matte brown to blend out your lid colour. 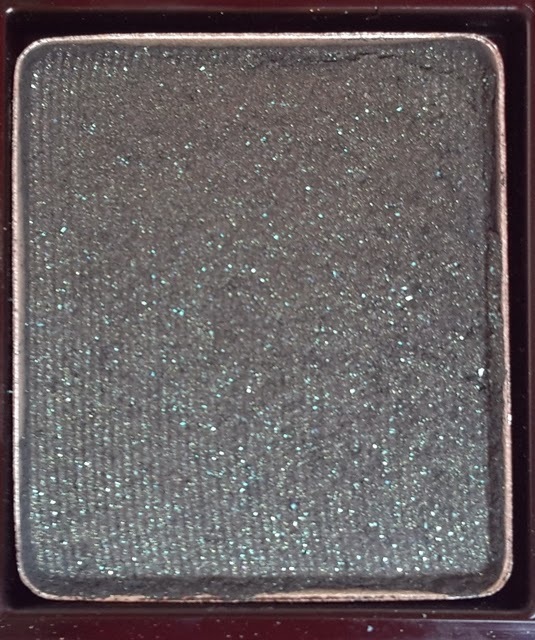 The fourth shade is a dark forest green with silver glitter. 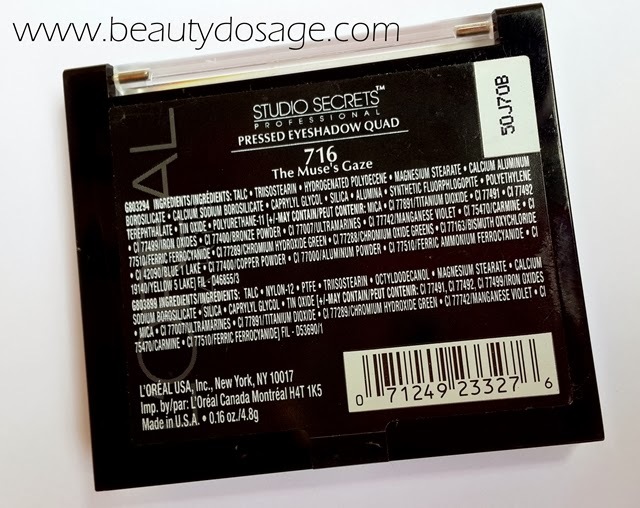 What’s great about the L’Oreal Project Runway quad in the muse’s gaze? 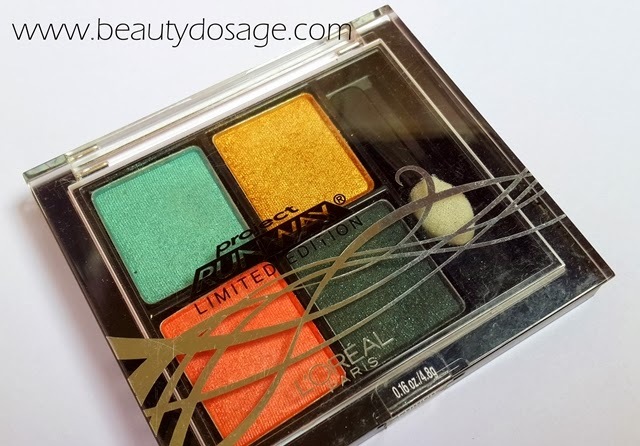 What’s not so great about the L’Oreal Project Runway quad in the muse’s gaze? I do not recommend this quad to anyone. 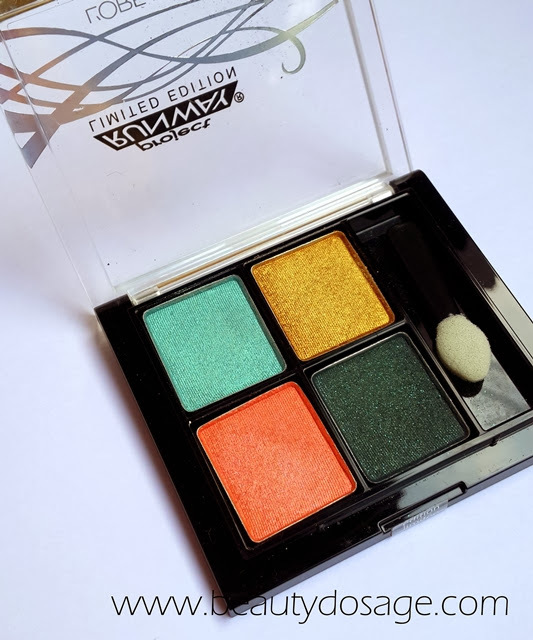 It’s not the worst quality but it’s not worth the money too so you rather buy a few trios from wet n wild for the best drugstore eye shadow quality. Shades are so pretty. Will try my hands on them! What a shame.. the colours looked nice. Too bad!